Gently Used Book Sale Coming in June! 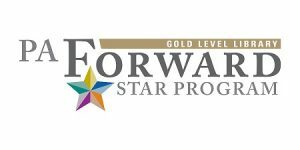 You are here: Sewickley Public Library > Events & Programs > Recent News > FOSPL > Gently Used Book Sale Coming in June! 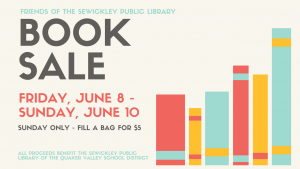 The Friends of the Sewickley Public Library are sponsoring a Gently Used Book Sale starting Friday, June 8th through Sunday, June 10th. Sunday, June 10 – 1:00 PM – 3:30 PM *Sunday is $5.00 bag sale day! ← Thank you for making Spring Bound IV a success!